Come join us on June 29, 2018 at Stanley Hall, UC Berkeley for a QB3 & MCB sponsored, one-day Bioscience Symposium "Endless forms: applying novel techniques in non-model organisms." We hope to bring together a local community of early-career & interdisciplinary scientists, leveraging non-model systems to ask unique questions in genomics, developmental, evolutionary biology & ecology, and beyond. We will be accepting abstracts for 10-minute talks and posters in the three main content topics until Friday June 16, 2018 @ 11:59PM (extended deadline). A light breakfast, coffee breaks, boxed lunch, and post-meeting beer-hour will be provided. Keynote Title: "Harnessing natural diversity to discover the rules of flower color evolution"
In the field of evolutionary biology, we are fundamentally interested in variation. How do new forms arise? What are the proximate and ultimate causes of this variation? Still, despite great progress in model organisms, making the connection between genetic changes and phenotypic variation remains challenging at broad comparative scales. In this talk, I will discuss a phylogeny-centered approach to building new model system, using knowledge of evolutionary history to target phenotypic transitions. I will describe my own trajectory, from choosing an obscure Andean clade (Iochrominae) as a focal group, to leveraging its natural variation to uncover new facets of flower color evolution. Together with parallel studies in other clades, my work in Iochrominae has demonstrated that, while the underlying genetic changes vary widely, the developmental mechanisms responsible for pigment evolution are highly predictable. These developmental rules, governing a 500 million year old biochemical pathway, help to explain macroevolutionary patterns, from the frequency of changes in pigment intensity and pattern to the rarity of producing new pigments. "The Smith Lab aims to understand the genetic mechanisms by which new floral traits arise, the ecological factors that drive those trait shifts, and the resulting macroevolutionary patterns. 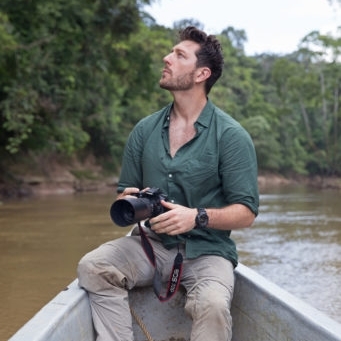 This work combines phylogenetics, evolutionary genomics, pollination ecology, biochemistry, and statistical comparative methods"
"Smith did undergraduate degrees in Biology and Spanish at Virginia Tech before moving to the United Kingdom to 'read' for an MPhil in Botanical Diversity with the support of a Marshall Scholarship. As a MPhil student, she worked on the pollination ecology and floral phenology of Solanum with Sandy Knapp and Barbara Pickersgill and also did a turn at Kew Gardens, working on population genetics of orchids with Michael Fay and Mark Chase. She returned to the states in 2001 to join David Baum's lab at the University of Wisconsin-Madison. Having stumbled across Iochroma in an obscure publication in the Kew Library, she spent the next five years building this small but spectacular clade as a model system for studying floral trait evolution. Her postdoctoral work with Mark Rausher at Duke University examined the genetic basis for flower color transitions in Iochroma. 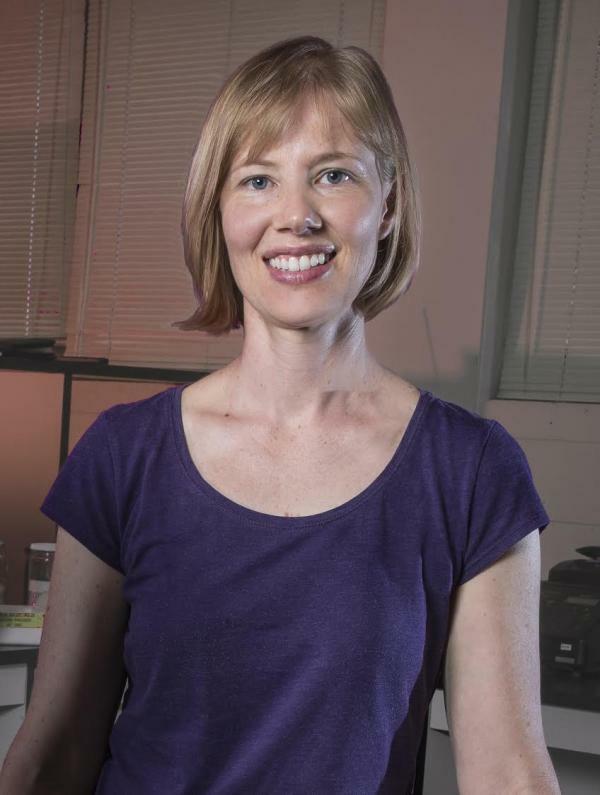 She was an Assistant Professor in Biological Sciences at UNL until 2013 when she moved to the EBIO department at CU Boulder. In addition to tending her living collection of Solanceae, Stacey likes to play badminton and spend time with the lab mascot, Abby." 10 minute talks with 2 minutes for questions. Focus will be on showcasing graduate student and postdoc work. Speakers will be selected to feature a diversity of topics (aiming for an equal spread between genomics, development, and evolution/ecology), as well as presenters. 8 minute talks with 2 minutes for questions. We will invite members of the research facility community to do introductory talks about the services and resources available at their facilities. Since there are many facilities, we hope to feature one microscopy and one genomics facility; additional facilities will be invited to present posters. The poster session will be open to submissions from all attendees, to encourage synergy between research groups and topics. Posters must be no greater than 48”w x 36”h. We will provided for boxed lunches that are portable (assorted sandwiches, chips, fruit/cookie, and beverage, with vegetarian option available), so that you can walk around and speak to the poster presenters. 3rd Year MCB PhD student | Patel Lab Research interest: the role of Hox genes in body plan organization in various species of Parhyale. Use of modern genetic and genomic approaches in non-model organisms. 3rd Year IB PhD student | Williams Lab Research interest: the evolution of cold tolerance—and its underlying molecular mechanisms—across the phylum Tardigrada. Striving to advance skills in molecular evolution, population genomics, physiology, and biochemistry. 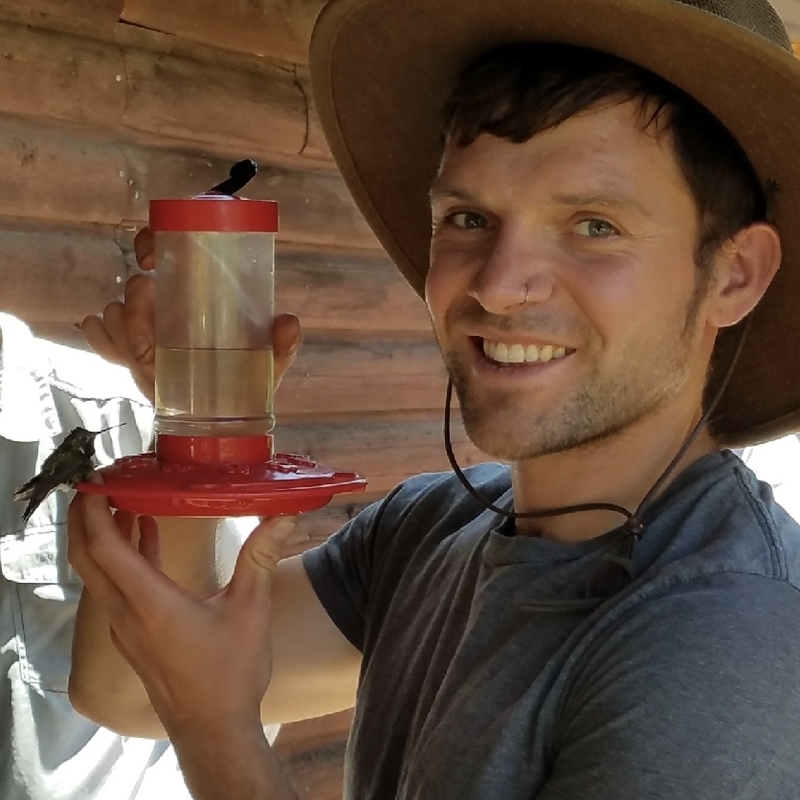 2nd Year IB PhD student | Whiteman Lab Research interest: population genomic data from Broad-tailed hummingbirds (Selasphorus platycercus) to understand the evolution of beak shape in response to pollinator ecology, migration, and anthropogenic change. 2nd Year IB PhD student | Patel Lab Research interest: transparency within the Lepidoptera butterfly to better understand processes underlying structural scale modifications. Research Interests: "Molecular, genomic, organismal and evolutionary basis of adaptations arising from species interactions (e.g., co-evolution), rooted in natural history." Noah Whiteman on the University of California, Berkeley campus in 2016, near Strawberry Creek. Scientific abstract highlighting background, methods, results and conclusions (no more than 400 words). The registration form for presenters and attendees will be hosted on EventBrite. We will try to accommodate as many poster presentations as possible, as space allows. The final deadline for submitting abstracts will be Friday June 16, 2018 @ 11:59PM (extended deadline). We are looking for non-profit & corporate sponsors to help support our meeting.